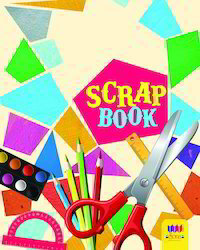 We are counted as one of the top organizations involved in offering an exclusive range of Scrap Notebook. - ‘Cre80vity’ is a facilitator of conveying your emotions & greetings in a very creative & unique manner to your special ones. It is a designer hard copy of your expressions for your soft corners. In short, ‘Cre80vity’ is a way of adding customization to your cards/gifts with its exclusive artistic touch and meticulous efforts to deliver something ‘beyond obvious’. This kit contains 4 scrapbooking papers, 8 borders, 1 stick ons pack, 1 bubble stick ons corners, 1 stick ons alphabet. Multiple uses like preserving your memories, enhances photo albums and excellent for giving gifts. 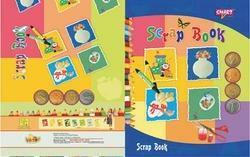 We offer high quality range of Full Scrapbook. It is widely appreciated by our clients which are situated all round the nation. It is known for its best quality. Our range is available in various colors & designs. We offer our range at market leading prices.